Opening night of the Royal Horse Show also featured the $20,000 Horseware Indoor Eventing Challenge. 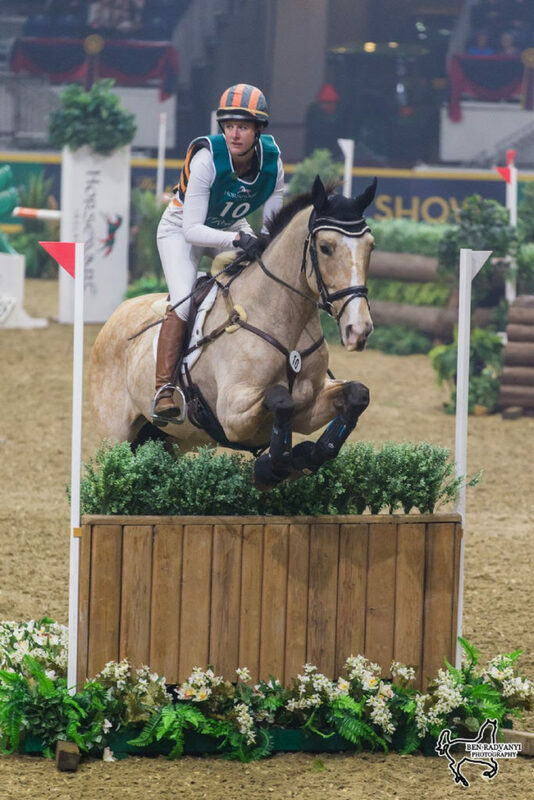 Making her Royal Horse Show debut, Lauren Kieffer of Middleburg, VA, rode Glendening Avis, a 13-year-old buckskin Canadian Sport Horse mare owned by Callie Evans, to victory in the opening phase of competition. With a clear round in a time of 90.03 seconds over the course designed by Mark Phillips, the Olympic, World Championship, and Pan American Games veteran now holds the lead heading into the second and final round of competition on Saturday evening, November 3. Finishing second was Toronto’s own Brandon McMechan riding Oscar’s Wild to a clear round in a time of 92.78 seconds to hold off third-placed Kendal Lehari of Uxbridge, ON, who was also clear riding Totally Frank in a time of 94.30 seconds.